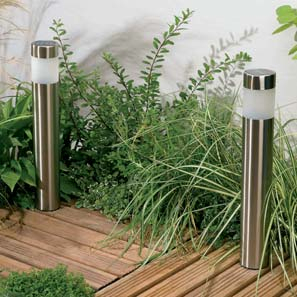 Solar Bollard Lights, Turn Your Pathways ON all Year! Welcome to the PowerBee Range elegant Bollard Lights, generous Solar Panels, Multi Function Dim and PIR settings for All Year round operation. Its a luxury to arrive home in the car & have a driveway lit, but also when reversing a bollard light can become a great aid, marking strategic points with Light really helps navigation.